I receive a lot of questions from readers, and I try to answer them all. While some responses are sent directly, others seem interesting enough for a broad audience so I publish them in this series. 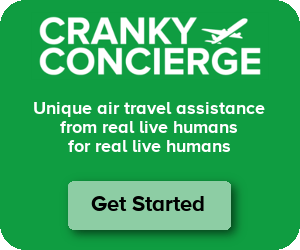 If you have a question for Cranky, email it to cf@crankyflier.com.